In 2011 Crucial Paradigm undertook major change in our network structure. Not only did we successfully complete a detailed and complicated datacentre migration to Equinix’s flagship SY3 Facility in Alexandria, Sydney; we also took on board NTT Communications as one of our redundant upstream network providers. This switch to NTT was designed to deliver better routing and higher performance to Australasian customers and users. This has proven to be a highly beneficial decision not only for our customers but Crucial’s ability to provide greater network performance to our regional customers. Various hosting companies have differing requirements when it comes to network performance, stability and quality. Each is reflective in the type of customers they represent and the model in which the company is built upon. Crucial’s client base is very broad; hence we aim for a high standard of infrastructure and network whilst maintaining competitive prices. For those new to NTT, it is Asia’s largest telecommunications company and is ranked 31st in the Fortune Global 500, esteemed company to be in. Additionally, as a hosting provider we always need to detect patterns and new customer streams. We’ve experienced increased growth in the number of customers from Asia purchasing Virtual Servers and Forex VPSs in order to trade the Australian FX markets through local brokers. On top of this, environmental factors mean that more Australians are now selling to Asian customers online – our customer’s web hosting will benefit from having an upstream provider such as NTT. 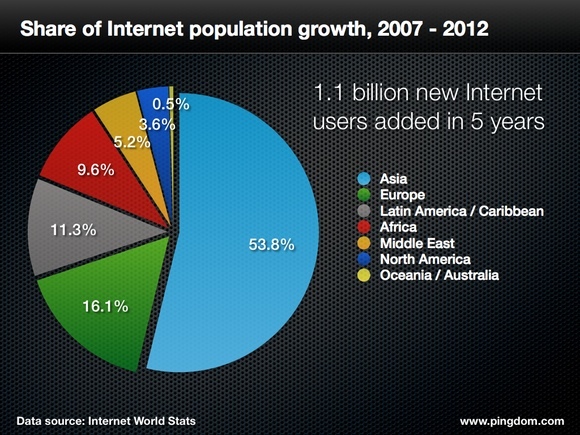 Shaping our network to perform on a greater level allows us to service the growing number of internet users within Asia. 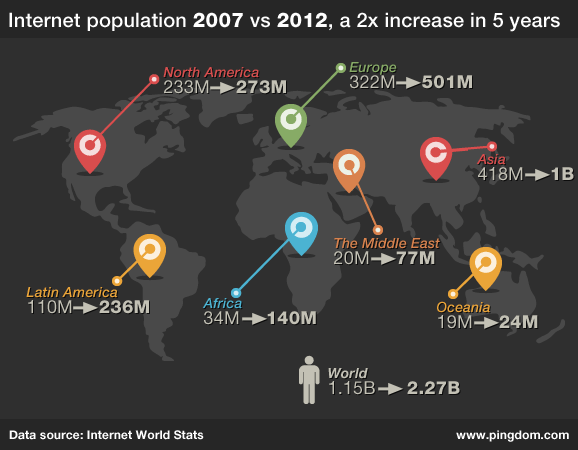 The graph above shows the explosion of ‘Internet users’ over the past 5 years throughout the Asian region, on the contrary it clearly depicts the minimal growth of the Internet population growth within North America and Australia; which has reached a plateau. The US and Australia are what one may call ‘connected countries’ already. Network speed and routing are two of the key factors that underline any reputable hosting provider, but end-users, bloggers, mums, kids and teachers are now just as privy to what a ‘standard’ broadband connection should feel like. Humans lust for speed and performance in different form factors, our complacency with broadband internet means that there are many a whinger when someone’s local connection is throttled. On a more national note, Australians would be well aware of the current rollout of the NBN, arguably this is destined to dramatically improve connectivity and transit speeds for business, government and corporations Australia-wide. Such a network was previously deemed too costly due to the size of the country, opponents to the plan tend to view the bottom line and neglect the long term benefits it will provide to both regional business and the national economy. The verdict however, is still out. By looking at the graph you can begin to understand the value something like the NBN can deliver. 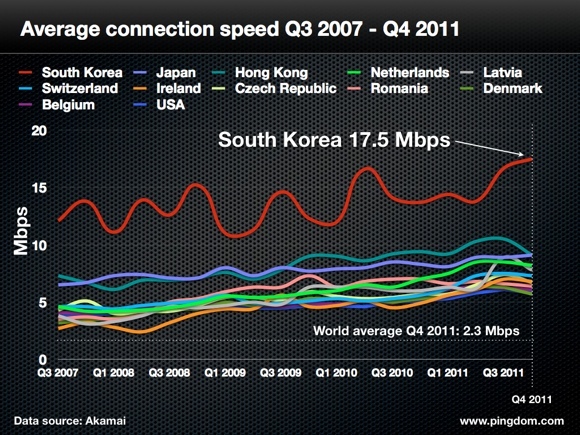 South Korea’s fibre project was a key element in building its reputation as a tech capital of the world. It was the world’s first country to bring high-speed fibre-optic broadband internet access to every primary and secondary school nation-wide. Using this infrastructure, the country has developed the first Digital Textbooks in the world, which will be distributed for free to every primary and secondary school nation-wide by 2013. 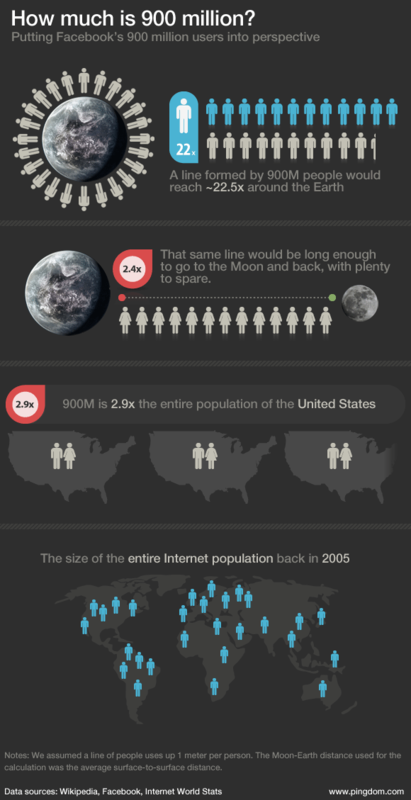 Other areas such as Australia’s broad and complicated healthcare system, would greatly benefit from the NBN. However other areas globally are experiencing greater percentage-based growth, such as the Middle East and Africa. It was of no surprised that the Arab Spring and political unrest that ensued was aided by the social media platforms of Twitter and Facebook. Improved connectivity and broadband availability in developing nations will aid and benefit not only trade, but also content availability and information which were previously limited for a wide range of factors. Additionally there are now emerging markets which many astute business people may aim at for new opportunities, the mining industry have been doing it for decades (with the added bonus of sovereign risk). Thanks to Pingdom once again for the pretty pictures found in this post.